When your wide-area network is down, your InformaCast messages will still be delivered with the InformaCast Fusion Server appliance and Survivable Remote Site Notification. When the network is down between your data center and your remote site, you want messages to continue to be sent and received at those remote sites. With the InformaCast Fusion Server Appliance and the optional High Availability service, local InformaCast messaging will continue to function. The optional High Availability license includes both Survivable Remote Site Notification and Distributed Activation. The software version of InformaCast Fusion requires users to have virtual computing resources, but this can be a challenge at remote sites, such as rural schools, remote campuses, and clinics, where these resources are more difficult to access. With the InformaCast Fusion Server Appliance, these remote locations can have an on-site server that makes it possible to still send mass notifications without the virtual computing resources. Operational temperature range: 0 to 40 °C. 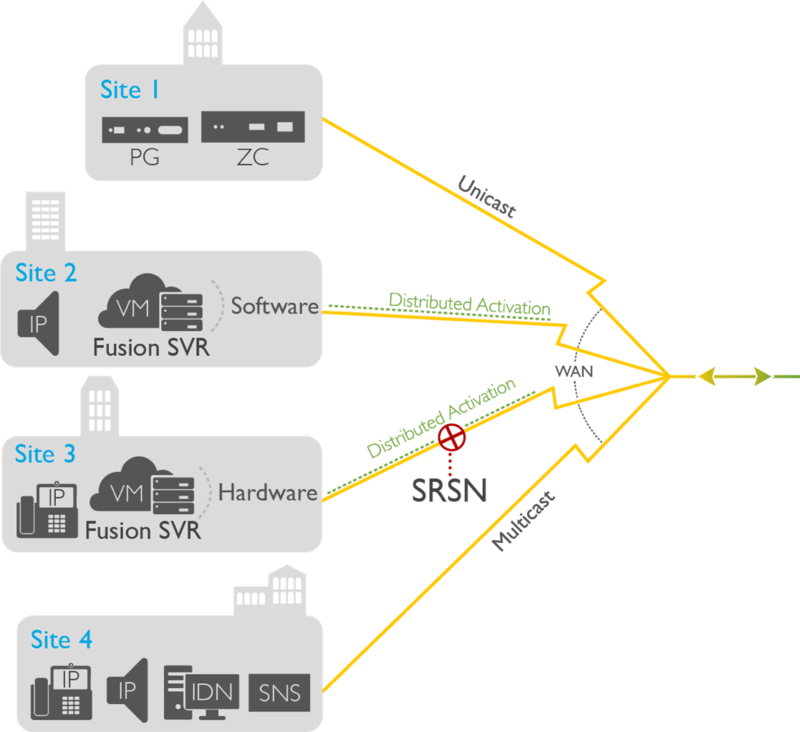 Singlewire recommends that you install Fusion Server Appliance in an environment designed for computer equipment, such as a server room with air conditioning. 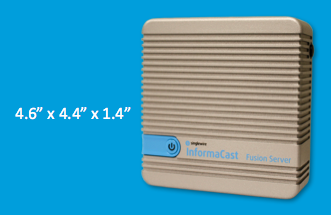 Note: The InformaCast Fusion Server Appliance is IEC and UL 60950 certified. At organizations where notifications are mission critical, having a mass notification system go down isn't an option. With the InformaCast Fusion server at a site (either virtual or hardware appliance), notifications continue to operate. This includes live, ad hoc, and pre-recorded audio, as well as DialCast, bell schedules and more, to keep everything running smoothly. Distributed Activation refers to this feature’s ability to distribute the notification workload. For organizations with thousands of IP devices, Distributed Activation offers an easy way to scale on-premises notifications, so thousands of IP devices can receive critical messages even faster than they do today.